Yeah, more poster illustrations. This one’s Beyond the Valley of the Dolls, a pretty awesome movie by Russ Meyer and a very young Roger Ebert. I’m much better at drawing babes now. Andrew is displeased that I drew myself in and thinks I ought to have covered myself up more. I’m more upset that it looks like I have a dislocated ankle, although it is in character for me to go around wearing nothing but a leopard skin and sweatsocks. The tattoos on the bottoms of Zeta’s feet are a nice touch. It’s gotta hurt to get that done, not to mention trying to walk afterward. The gerbil is Dana, earlier established as female by reader poll. 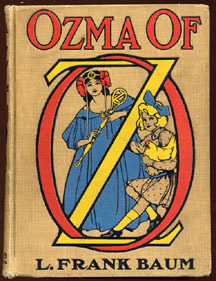 A riff on John R. Neill’s illustrations for the Oz books, specifically the cover to Ozma of Oz. Helen as Ozma didn’t turn out very well, but Mell as Dorothy actually looks pretty good except for the usual enormous ear. 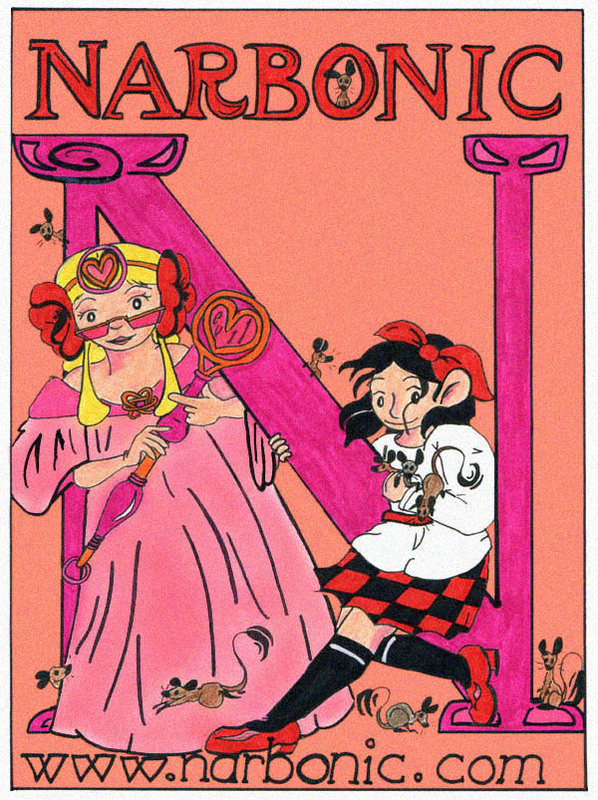 I ended up doing a lot of Oz-inspired art for Narbonic, mostly in the illustrations for Jeffrey Wells’s Very Long Fanfic. I just really dig the Oz books. Waitwaitwait…the woman who is cowriter and artist of Skin Horse adores the Oz books? SAY IT ISN’T SO!